Changes to Pro Tour Qualifications, GPs, etc. : Wizards announced a number of big changes to Premier Play, Pro Tour qualification, etc. Their video is here. An article covering the same info is here. Wily Edel’s more complete summary is here. I’ll bullet list the main points here, then discuss them in the Opinion Section, below. No More Paper PPTQs, direct Qualification Only: A decade ago, Pro Tour Qualifiers were large, regional tournaments with many hundreds of players. They became unreasonably large – single day events with 10 rounds, cut to a Top 8 that typically ran past midnight. 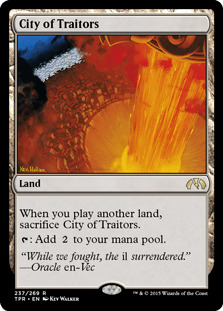 Wizards then tried changing to a few, large, invitational-only, regional PTQs, fed by a large number store pre-PTQs. This week, Wizards announced that PPTQs were ending. Instead, some stores would be allowed to host events which qualified players directly for the Pro Tour. Some would be open, and some would be invite only. The open events will happen at MagicFests, one per day. 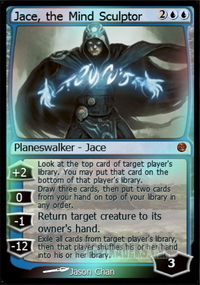 Some invitation-only events might be based on Planeswalker points, while some invites might be based on other, unspecified criteria. We also don’t know exactly what will qualify stores to run invite-only events. Wizards has just said that they will be given to the “best in class” stores and invited stores to apply. MTGO Qualifiers to Continue: Wizards announced that MTGO qualifiers will continue as they have. The one exception is that the online regional PTQ, which allowed players who win a PPTQ to play their RPTQ online. Since PPTQs and RPTQs are going away, so is the online RPTQ. Online PTQs will continue as they have. GPs and Pro Tours at MagicFests: For years, organizers have been making GPs into more of Magic conventions. The organizers offer side events of all kinds, art shows, vendors, etc. Wizards is recognizing this reality, and rebranding these events as “MagicFests.” Basically, MagicFests will play host to GPs, which will still be the main open event at MagicFests. However, Pro Tours will now take place at MagicFests as well. These MagicFests will have both the Pro Tour and a GP, along with everything else. No Plans for Qualifiers on Arena, Yet: Wizards was asked whether they would run qualifiers on Arena. They responded that Arena just entered open beta, and they have no intention of running qualifiers on Arena at this time. 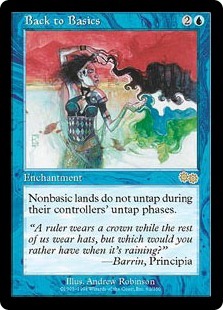 Given how many years it took to get large events running well on MTGO, that’s no surprise. Arena works for a bunch of individual games or matches, but has no provision for large events with rounds, Swiss pairings, etc. Arena is built around League play. Large tournaments have a different structure. No Legacy, No Team GPs in First Quarter: The GP formats for the first quarter of 2019 have been announced. They include a bunch of Modern, a handful of limited events, and a couple Standard GPs. When asked, Wizards reps said that team GPs were not going away – just that none had been scheduled for the first three months of 2019. Nothing was said about Legacy. Seth Manfield and Lee Shi Tian Inducted into the Hall of Fame: Congrats to both. WotC Shift Booster Box Supply Away from LGS: Wizards announced that they will now sell boxes through Target, Amazon and Walmart. This was followed by problems with the sale of Guilds of Ravnica: Mythic Edition through the Hasbro online store. The article announcing this change is here. Wizards has announced a number of Premier events. Everything on this list in 2018 will be streamed. No word on what sort of coverage we will see for events in 2019. · Triple Innistrad – starting October 31st. 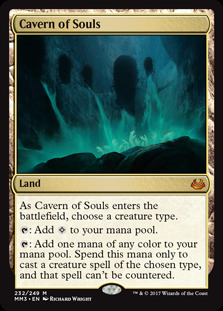 I have been told that [REDACTED] is a replacement for the Inverse Pro Tour Cube, which was Wizards’ idea for a follow-up to the popular Pro Tour Cube. The Pro Tour Cube is made of cards played in Pro Tour wining decks. The Inverse Pro Tour Cube, I understand, was a cube made entirely of cards which were picked last in covered drafts at the Pro Tour. The Inverse Pro Tour cube supposedly did not play out as well as Wizards had hoped. (Really?) So, if you liked the recent Pro Tour Cube , you will have to wait longer for the Inverse Pro Tour Cube. At least, that’s my understanding. Wizards is rebranding GPs as MagicFests. They are also changing how players qualify for the Pro Tour. Wizard’s video is here. An article covering the same info is here. Wily Edel’s independent TL:DR summary is here. 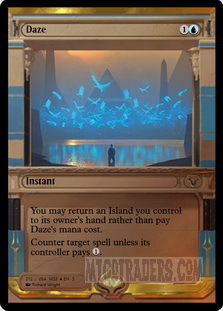 First off, a note on the name “MagicFest.” Yes, it’s a bit clunky. Yes, the name “Magic Gathering” would have been kinda cool. However, we live in a word of trademarks and copyrights – and the need to protect company’s branding. 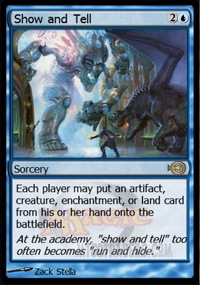 I expect that “Magic Gathering” has been used in the past, and cannot be protected. 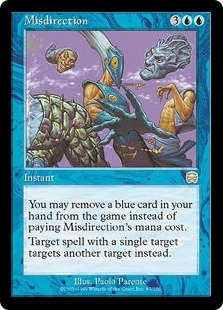 “MagicFest” is, presumably, copyrightable. It could be worse. Think of any new company name from the last couple decades – there is a reason that we see “Verizon” and “Advantis,” while car models have names like “Altima” and “Impreza.” It’s easier to protect a brand name you make up. Sad – going to a “Magic Gathering” would have been cool. Branding aside, I really like the idea of making GPs more of a mini-convention than just a single event. In reality, it’s what GPs have become, and it is cool that Wizards is going to recognize that fact. It is also cool that Wizards is making them three or four day events. I remember the old World championships, which were large events open to everyone. The old Worlds, and to a lesser extent old Pro Tours, had tons of side events, art galleries, panels, etc., etc. It will be great to have those back. · Make Top 8 at a Grand Prix, or get 39 points and miss on tiebreakers. · Make Top 4 in a Regional Qualifier (RPTQ.) RPTQs were invite only, and you earned invited through Preliminary PTQs held at local game stores. The first is not changing. HoF membership still provides automatic invites. Wizards has also said that Grand Prix’s will still qualify players. Wizards has also adjusted the prize payout for GPs – presumably the larger GPs will pay out the higher prizes. (Prize payouts here.) Not clear whether the larger / higher prize support GPs will qualify more players. Presumably, all players with enough match wins to Top 8, or miss Top 8 on tie breakers, will continue to qualify. MTGO PTQs are continuing as at present. The one exception is the online RPTQ, which is going away along with the paper RPTQs. Which brings us to paper Pro Tour Qualifiers. As I mentioned, Wizards is doing away with PPTQs and RPTQs. Instead, they will offer both open and invite-only PTQs. 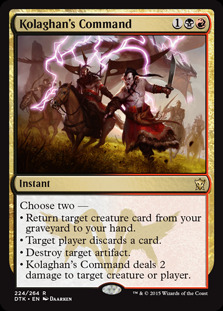 We know that Wizards will offer open PTQs at MagicFest – one per day of the event. These will qualify players for the next Pro Tour in the geographic area in which the MagicFest was held. Since Pro Tours appear to be paired, with one in the western hemisphere and a second in the eastern hemisphere, that is how the MagicFest qualifications will work. Probably. Wizards has also said that stores can hold PTQs that will directly qualify players for the Pro Tour. Having listened to the video and read the announcements, I expect that store events will be invite–only, and earned through in store play, Planeswalker Points or the like. More details will be coming later – but Wizards has said that these events will be available only to “best in class” stores. They will unquestionably be far less frequent than PPTQs. Let’s crunch some numbers. Wizards has said that they expect Pro Tours to have 200-300 players going forward, for each of the paired Pro Tours. The exact details of how the Pro Tours will be paired has not been clarified; I am going use hemispheres as a verbal shorthand for the split. The Hall of Fame can contribute 20-40 players to a Pro Tour. This could be reduced a bit if Wizards changes the invites to only those Pro Tours in the hemisphere in which the player lives. Many Hall of Fame players are also members of the Pro Players Club, so let’s assume the HoF will provide 15 players to each Pro Tour. The Pro Players club also qualifies players for Pro Tours. Approximately 80 players are at either Gold or Platinum status, which currently qualifies them for Pro Tours. Wizards has said they are adjusting the levels, which will likely reduce the number of qualified players. It also seems reasonable to assume that Pro Player status - at least the Gold status – may only qualify players for Pro Tours in their hemispheres. Given all of this, I would expect that Pro Player invites would qualify maybe 50 players per Pro Tour – more if Wizards invites all Platinum Pros to all PTs. The next method of qualification is making Top 8, or earning 39 match points in the Swiss at a Grand Prix. Generally, GPs have to be over 2,000 to have any significant number of players hit 39 match points and miss Top 8, but is happens. To offset this, a reasonable portion of players making the Top 8 are HoF players, players qualified through the Pro Players Club, etc. Some players winning qualifications do not play in the Pro Tour. As a working number, let’s assume that each Grand Prix qualifies 6 new players for the Pro Tour. With 48 GPs in 2019, assuming that the GPs are split by hemisphere, this leaves roughly 8 GPs per Pro Tour, or 48 players – call it 50 – qualified for each Pro Tour via a GP. 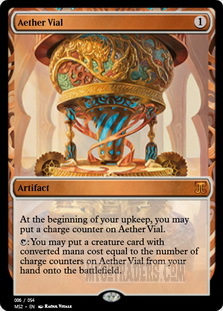 In addition, we know that all MagicFests will be 3 or 4 days long, and will have one PTQ per day. With eight MagicFests per Pro Tour, that’s another roughly 25 players qualified. 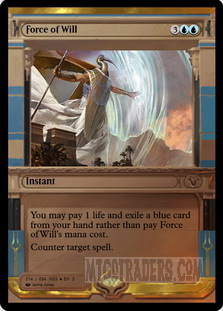 Wizards has also said that MagicFest may have additional qualification events. Next we have online PTQs. MTGO has been running one or two PTQs per week most weeks of the year. Since they skip certain holiday and prerelease weekends, and since some of these can be won by people who would be otherwise qualified, let’s assume that MTGO PTQs qualify 10 players per Pro Tour. That leaves in store events. The above methods would qualify at least 150 players per Pro Tour. That leaves maybe 100 slots for events run by professional tournament organizers and “best in class” stores. That comes out to 300-400 events per year per hemisphere. That is not a lot. I did a quick count of the stores in my area that ran PPTQs this year, and I named over a dozen off the top of my head – and most of those ran a PPTQ for each Pro Tour. That’s 50+ PPTQs just in Wisconsin, USA. Now Wizards has invited all local stores to apply to host future PTQs, but there is no way that all these stores will get even one event. Local stores are going to be hit hard by this. They have already lost GP Trials. Now they are losing PPTQs. 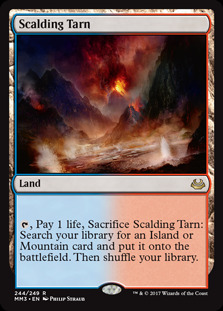 Pretty much all Wizards is offering them is FNM, Prereleases, and things like Game Day. Oh, and Wizards has promised to fix the store locator, which is absolutely terrible right now. This comes on the heels of the Wizards announcement that it will now be selling booster boxes directly through Amazon, Target and Walmart. These stores will be selling at a recommended price of US $95. That is going to shave the margins for local game stores even further, and really hurt the large online vendors. I really hope that Wizards does not come to regret this decision. As I mentioned, I found my copy of the initial, introductory issue of The Duelist, Wizards “Official Trading Card Magazine.” The intro issue was small – about 4 x 5 inches in size. (Regular issues were full sized.) The last page in the intro issue invited you to “Learn the Lingo.” The article defined the following terms – the actual language from the article is in italics, my comments in normal font. 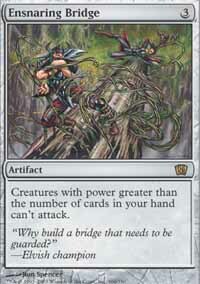 Booster: This on is easy – a booster pack containing eight, twelve or fifteen Magic cards that “boost” your collection. 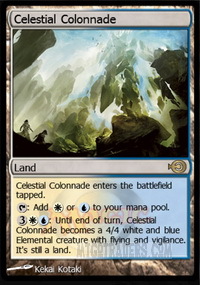 Now, of course, boosters contain 14 cards and a land. CoP: Pronounced “C-O-P” or “cop,”this term is shorthand for Circle of Protection. Used either as a noun or verb. 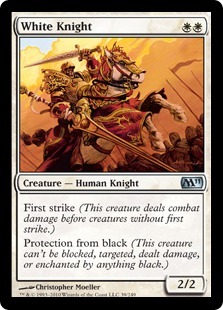 Circles of Protection ate five white card slots in sets from Alpha through 8th Edition. They were important way back then – not so much now. DCI: Shorthand for the “Duelists’ Convocational International,” the official tournament organization for Magic. Wizards stopped admitting that DCI stood for anything around the end of the last millennia, and don’t even use DCI much anymore. Direct Damage: A term used to describe spells that do damage directly to your opponent rather than doing damage through a creature attack. The Judge in me has all kinds of problems with this wording – but this wording is from back when we had batches, interrupts, Bethmo rulings and banding. Expansion: What you would expect. The magazine identifies all eight expansions released as of that date by name. Most recent was Alliances. Fizzle: To have a spell fail due to the disappearance or invalidation of its target. Wizards officially eliminated the use of this term a decade ago, but it’s still used. 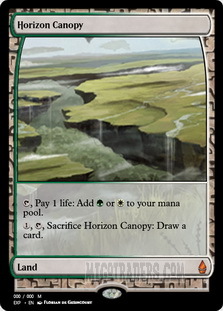 Hack: To change the mention of one basic land type on a card to another basic land type. This was once a thing. This was once a real thing. See Magical Hack. 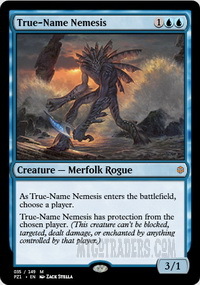 Side note – this was my original MTGO user name – a joke on being a Magic player and hack writer. Wizards decided, later, than they didn’t like the name, and had me change it. Lucky Charms: Cards like Iron Star, Ivory Cup, etc. Old, bad lifegain from back before anyone knew how bad they were. 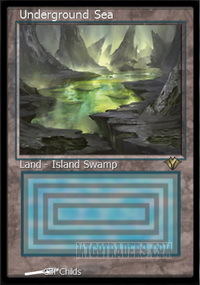 Mulligan: Drawing either all lands or zero lands in your opening hand let you shuffle and draw a new hand. You had to keep everything else. 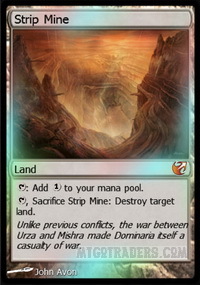 Seeing a one land hand was particularly scary in a format in which opponents could – and did – play four copies of Strip Mine . PPG: Shorthand for the Pocket Players Guide to Magic the Gathering. It was a book. It was first published in 1994. Today, it has some comic value, but the strategies are a bit dated. Sleight: To change a mention of a basic color to another. The classic card is Sleight of Mind. In a world with Gloom , Perish , White Knight and COPs, changing color words was a viable strategy. 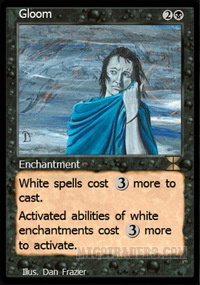 Sleight worked on spells and permanents, so you could change Perish to destroy all red creatures. Not that anyone ever did that – the only time I have ever used Sleight of Mind is in questions used for training judges. Stand-Alone: Short for “stand-along expansion.” At the point that this came out, there was exactly one stand-alone expansion – Ice Ages. Starter: Short for “Starter Deck,” the sixty-card deck in which the basic set and stand-alone expansions are usually sold. 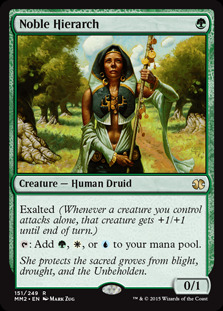 Starters had a couple rares, several uncommons, a bunch of commons and a bunch of basic lands. 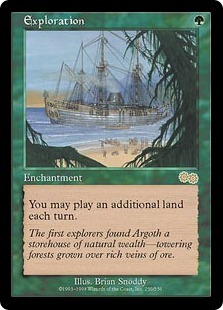 Starters had, at the time this was written, 60 cards – 3 rares, 9 uncommons, 26 commons and 22 basic lands. The basics were random, and you had to play what was in your box - no land stations. Tim: Nickname for the Prodigal Sorcerer. 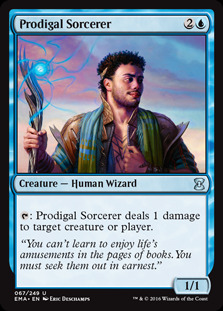 If you don’t know Prodigal Sorcerer or get the Monty Python reference – well, I feel old. 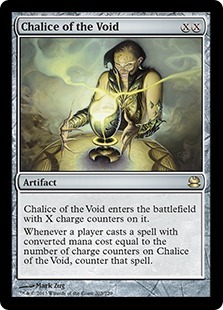 WotC: Shorthand for “Wizards of the Coast.” Rhymes with “Yatzee.” So I hear. The Duelist introductory magazine was copyright 1996. Standard: We have a brand new Standard. SCG ran both teams and Classic events. Here’s what won the Classic. Nice deck, if you can get all these rares and mythics. 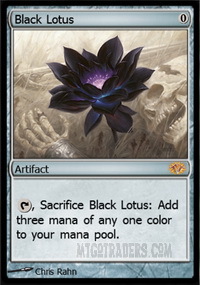 Modern: SCG hosted a Modern event last weekend. 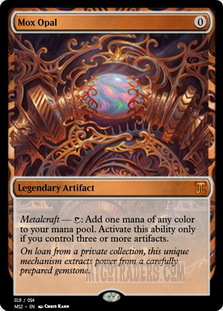 The winning deck was an diverse mix of artifacts, with a reasonably robust toolbox and - apparently – enough tutoring to find the tools. Interesting. 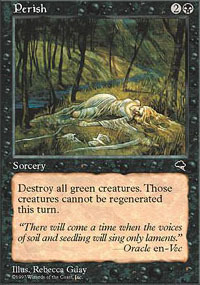 Legacy: SCG haled a team event last weekend, with Legacy in one of the slots. That event had 271 teams competing. The winning team played Grixis Control, but I have featured that fairly often. Here’s something different. 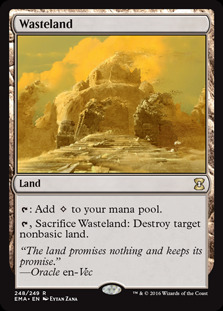 Standard Staples: Standard prices are mixed again this as the new metagame evolves. 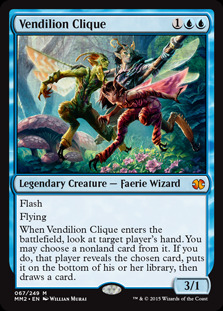 The Guilds cards are particularly volatile. Modern staples: Modern prices fell heavily again this week. Ugh. Legacy and Vintage: Legacy and vintage are joining the slide. Folks, it’s either too early or too late to selling out. MTGO has several years left. Prices will recover. 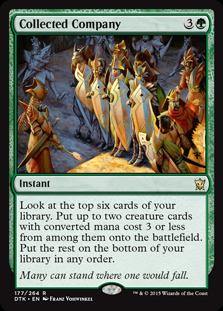 The big number is the retail price of a playset (4 copies) of every card available on MTGO. 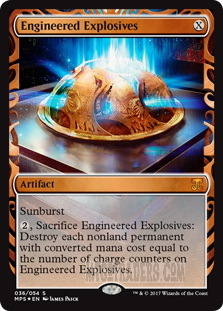 Assuming you bought the least expensive versions available, the cost of owning a playset of every card on MTGO is approximately $ 15,345. That’s down another $1,500 from last week ago. That another big drop. Not a ton of Magic for me this week. Work, plus some flooding in my area, and a new dog have eaten what time I have. I did run a sealed event last weekend. I could have played – if we had had an odd number of players. We didn’t. 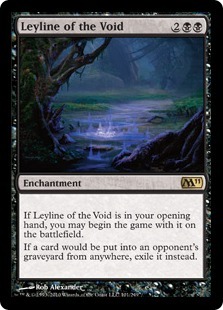 As someone who has been getting back into Legacy, and getting a bunch of cards to do so, I find the slide in prices both practical and really scary. Sure, it has made getting a bunch of decks much more affordable than a few year ago. 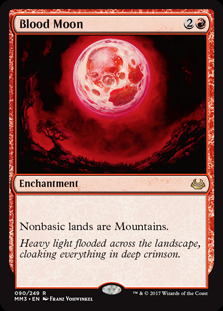 I also still wonder how seriously we can take the "MTGA is not meant to compete with MTGO" spiel. In the past couple of months, the Legacy Leagues have hovered somehwere between 300 and 500 participants. It's enough to get matched up in a couple of minutes pretty much any time of the day, but it can't be more than 5,000 rotating players total. That's not a healthy player base.